Hardwood Flooring in South Borough MA | Central Mass Hardwood Inc.
Hardwood floors are an elegant addition to any home. Whether you choose to have them just in one room or all throughout your house, it is an investment that will last you for years. Therefore, you’ll want to be sure that you are choosing a stain and finish that you won’t tire of. It’s also essential to choose a hardwood floor company that has the skills and experience to provide a quality installation. The experts at Central Mass Hardwood have proudly been serving homeowners in New England for more than 20 years, and would be happy to assist you! If you’d like to add a personal touch to your flooring, we specialize in custom wood flooring designs. We can provide you with exotic wood flooring, design medallions, inlays, borders, and more. Check out some of our previous custom designs here. We’ll work with you to create something that uniquely matches your aesthetic. Olders hardwood floors can be restored to their natural beauty, through the process of refinishing. Our crew at Central Mass Hardwood will sand your floor to remove existing finishes, apply several coats of oil or polyurethane, and buff your floors for the final touch. You’ll rediscover the shine that once existed in your old floors. If you think your floors could benefit from refinishing, contact us today! 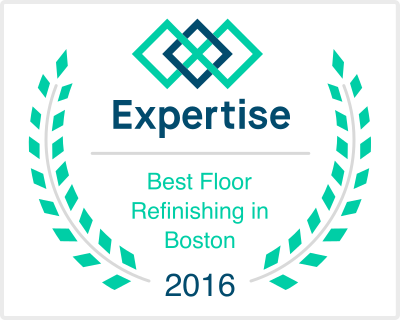 Request a free estimate online or give us a call at 508-460-0199!